A new laser weapon test facility in Bordeaux France has been inaugurated by MBDA and ALPhANOV. 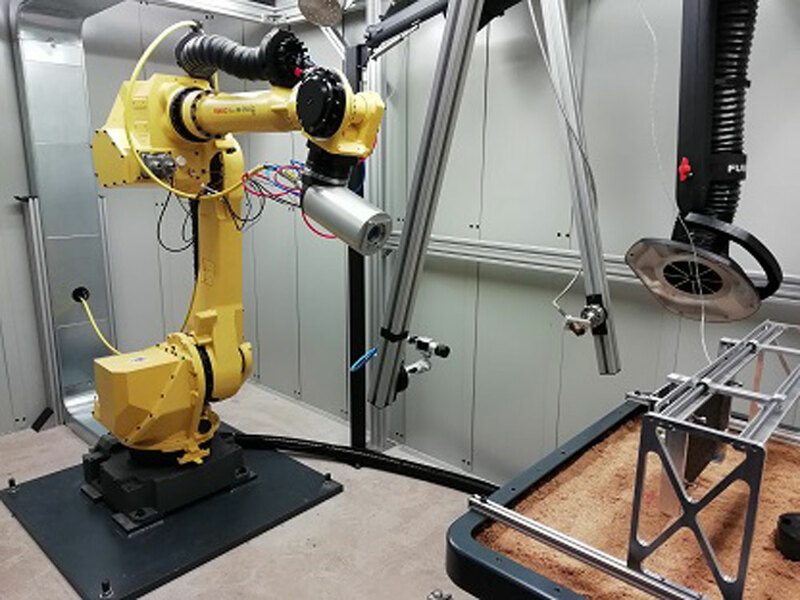 The Vulnerability Test Facility (VTF), in development since 2016, is designed to test the effects of lasers on materials. To do this the site utilises laser power sources adjustable from 1 to 10 kW and multiple measurement means (fast, visible and infrared imaging, pyrometers, thermocouples, etc.) to monitor the effects delivered by the lasers. This co-operation includes the completion of the VTF as well as its joint implementation for a four-year period. The VTF has the ability to simulate many of the real world conditions of a real-life laser firing, including: the imperfections of pointing a dynamic beam, employment against crossing and spinning targets, and the complex interactions between the laser and target materials, among others. This will allow the requirements to be defined for all the individual components of a laser weapon (laser source, aiming accuracy, beam focus, etc.) and the optimisation of future laser system architectures against the various types of targets that they may engage (aircraft, missiles, drones, shells, optical sensors, vehicles, naval vessels). AT DSEI in London in 2017, a new laser weapon demonstrator being built for the UK Ministry of Defence was unveiled for the first time by the UK Dragonfire consortium. The beam director, provided by Leonardo, brings together QinetiQ’s powerful laser emitter, as well as electro-optics for target identification and tracking. MBDA is bringing prime weapon system delivery experience and advanced weapon system command and control (C2) and image processing capability to UK Dragonfire, in addition to co-ordinating the overall effort. Among the uses of LDEW systems are providing very short-range air defence capability, close-in protection for naval vessels, to counter-unmanned aerial vehicles (UAVs) and protecting friendly forces from mortar and artillery attack.